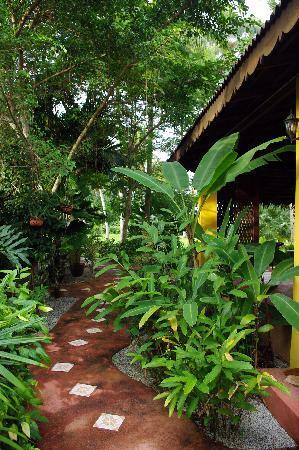 Pondok Keladi Guest House combines the charm of Traditional Malay design with modern amenities on an acre of land conveniently located in a little village of Pantai Tengah, Langkawi. 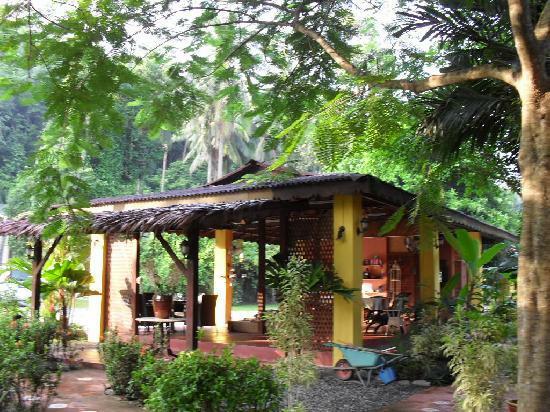 Nestled at the foot of a hill and surrounded by coconut palm trees, rainforest and overlooking the paddy fields, Pondok Keladi offers peace and tranqulity on this beautiful island. 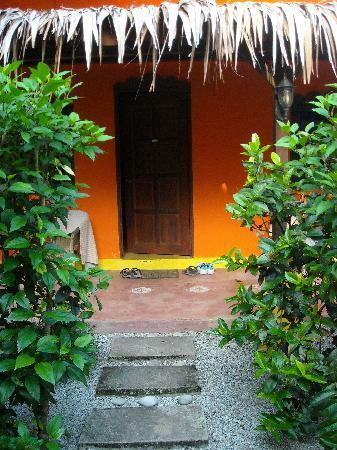 It is only 15 minutes walk to the beach, shops and restaurants along Pantai Tengah and Pantai Chenang. Pondok Keladi has a unit of six bedrooms complete with open-sided centrally located, covered area called the Balai complete with a kitchen. 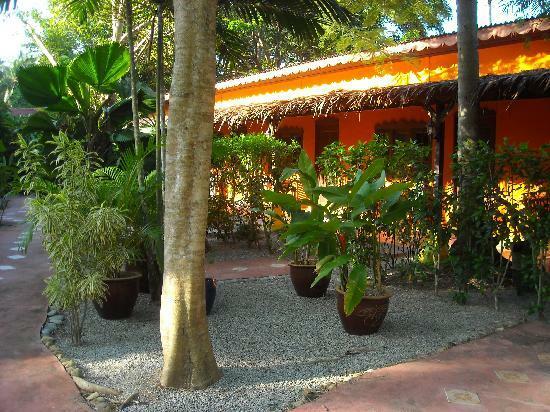 The garden has been planted with various tropical species of flora with lily ponds embedded in front of every room. In the adjacent woodlands there are often monkeys on the coconut and rubber trees including the shy Dusky Leaf monkeys. 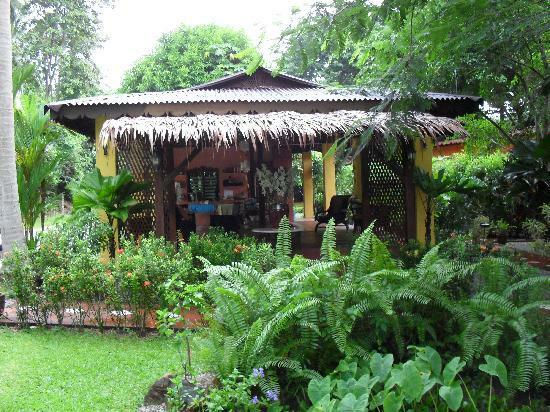 We also have hornbills, eagles, squirrels, butterflies, flying foxes and exotic birds who come to observe us at times.